The student health and counseling centers will move to the Marvin Center in early 2015. Hatchet File Photo. GW will move both its student health and counseling centers to the Marvin Center by early 2015, officials announced Wednesday. Student Health Service and the University Counseling Center, both located in leased offices on K Street, will be housed on the ground floor of the student hub. The offices will replace the top floor of the bookstore, which will continue to sell textbooks and supplies downstairs but move its GW apparel and gear sales to another location. The unexpected announcement comes after a semester of intense lobbying by Student Association President Julia Susuni and a commitment by University President Steven Knapp last November to relocate both wellness centers. 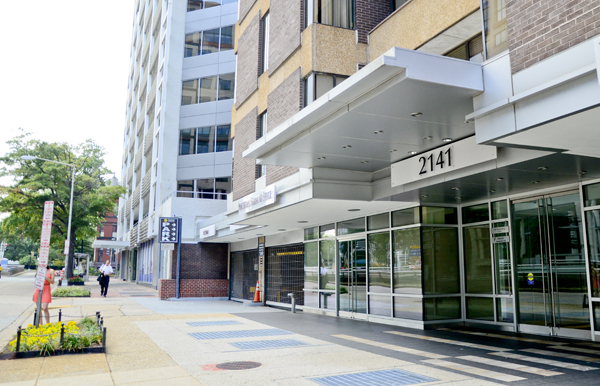 One of GW’s top wellness officials, Mark Levine, told the Hatchet last fall that the move would require a big investment in resources and that it would be “favorable” to renew the health center’s K Street lease until 2020.